The battle with dry skin and hair seems never-ending in the world of beauty. We’ll try anything out there that contains the words “moisture,” “rescue,” “oil,” “damaged,” or “dry” on its packaging. In the last few years, coconut oil has become a prominent “miracle” treatment for anything skin and hair related. You can use Coconut Oil on the exterior and interior of your body, so it is said to cure your problem areas from the inside out. While Coconut Oil has been proven effective for things like scars, dry skin, wrinkles and overly processed hair, it is a conventional wonder, meaning there may be better solutions hidden away by the mainstream media. 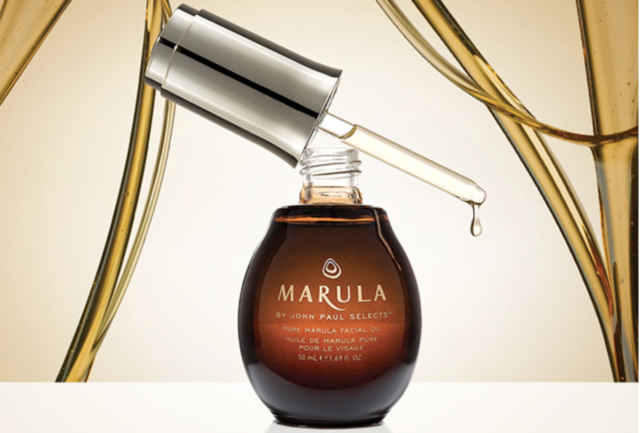 One of those hidden gems is the multi-purpose Marula Oil and now anyone can experience this “miracle oil” with Marula Pure Beauty Oil, locally sourced and extracted from the seeds of the Marula fruit in Africa. 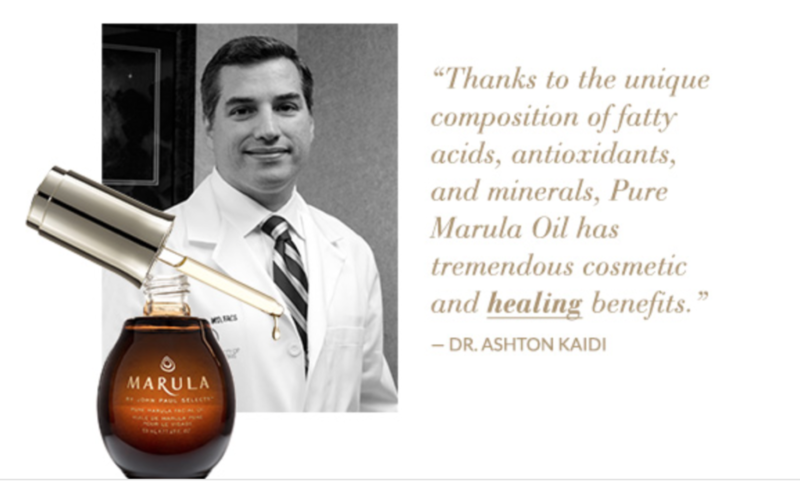 As a beauty company that cares about the sustainable well-being of native African women, Marula Pure Beauty Oil provides paying jobs for women who wild harvest the fallen Marula fruit and hand-crack the nuts to be cold-pressed and not be exposed to the over-used, harsh processes of traditional beauty industry production. 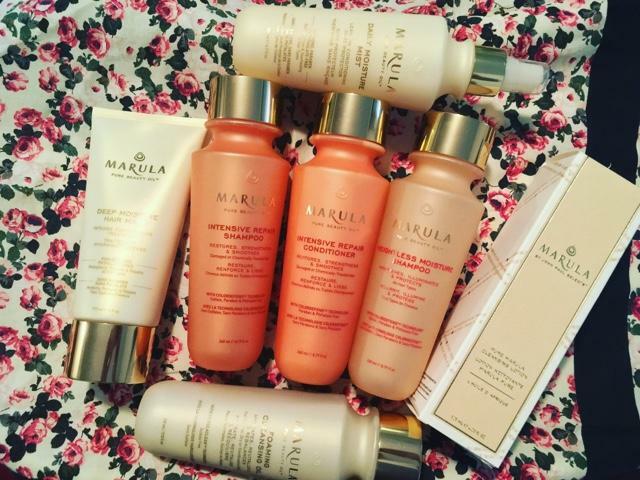 Our experts at MyTopFace had to get in on this oily action, testing both skin and hair products from the Marula brand. 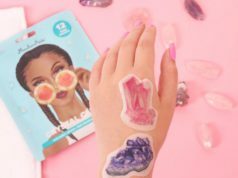 Every product smells like the most expensive perfume you can buy at Neiman Marcus and feels like a dream, absorbing with hast and working its antioxidant-rich powers on all our problem areas. With higher levels of antioxidants than most oils, Marula Oil is able to heed rapid absorption and more effective treatment than other “miracle” oils out there, making it one of the most desirable oils in the anti-aging game, today. Being the skin-conscious freaks we are, we’ll start by telling you about the skincare products we tried from the Marula Pure Beauty Oil brand. 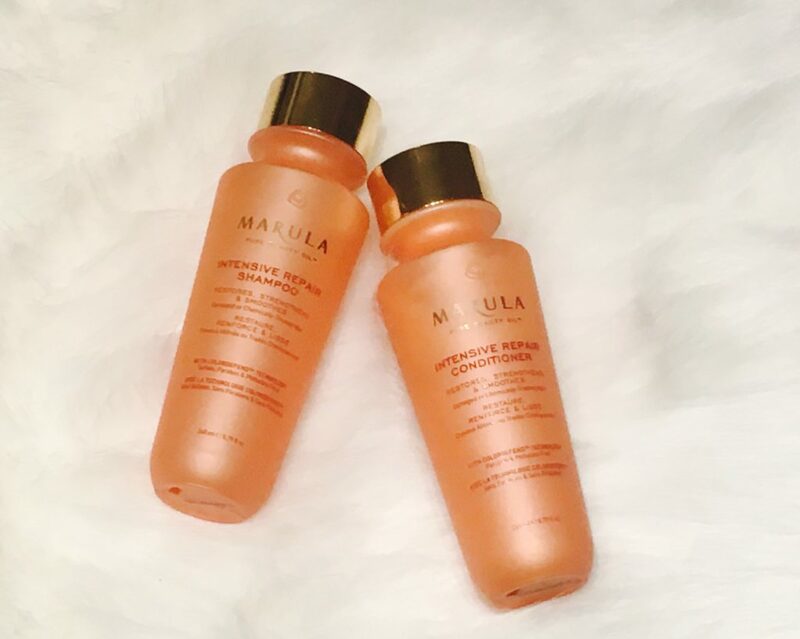 We tested the Pure Marula Cleansing Lotion and Foaming Cleansing Oil. Being prone to breakouts from some oils, we always prefer to keep oily products out of our skincare routine, but there are a few exceptions we’re willing to take on. The Foaming Cleansing Oil was pleasantly light, so it was easy to wash all of the oil off, which is important when you have acne-prone skin. Oil cleansing can be very effective when it comes to helping acne-riddled patients because it removes your impurities without stripping the skin of its natural moisture needed to maintain adequate sebum levels. When the skin is over processed, it can cause excess sebum production because the skin begins to overcompensate for lack of moisture, causing unwanted and embarrassing blemishes. The Foaming Cleansing Oil washed off with ease and created a silky facial canvas without harboring any greasy residue. 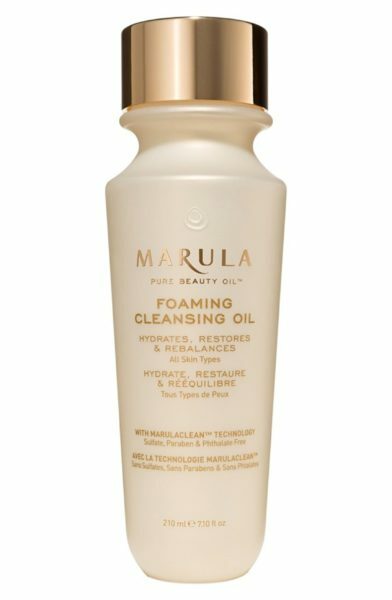 The Pure Marula Cleasing Lotion worked almost as if it were an in-shower body lotion, with skin absorbing the lotion within the cleanser, yet still getting the clean it needs. Our facial skin felt gently purified, moisturized and camera-ready for flawless makeup application. The Marula Pure Beauty Oil skincare was ultimately pleasing to the senses and cleansing while hydrating for tons of skin love. Now that we’ve tamed our skin, it’s time to move onto the “mane” event, our hair that is. Many of our experts have thick, curly, and dry strands that make regular beauty and styling maintenance a challenge, to say the least. The shampoos meant for our hair type are never moisturizing enough and conditioners are often too dense and creamy, leaving our scalps oily for an unwashed look that no one wants. We tried the Marula Pure Beauty Oil Deep Moisture Mask, the Intensive Repair Shampoo, the Weightless Moisture Shampoo, and the Intensive Repair Conditioner. We started with the Intensive Repair Shampoo and Conditioner because our hair needs some serious First-Aid. Both the Intensive Repair Shampoo and Conditioner are sulfate free, so are able to moisturize the hair more effectively. Other drug-store brand, sulfate-free shampoos and conditoners we’ve tried like the sulfate-free collection from L’Oréal, don’t work into a generous lather, in fact hardly lather at all. Sulfates in hair products is what causes the product to foam up, creating those bubbles and rich lather that makes us feel like we’re getting a deeper clean. While the lather doesn’t indicate a cleaner you, it is nice to have, creating a more spa-like experience in your own shower. The Intensive Repair Shampoo, although sulfate-free creates a slight lather and moisturizes your strands and scalp with a thin, yet hydrating solution that finally gave us the moisture our thick hair needed from a shampoo. The conditioner was just as moisturizing or more than those heavy cream-based formulas we’ve tried in the past, yet it was light and left our hair with a silk-like feel and no shortage of bounce. Always looking for weightless, yet hydrating products on our unruly hair, we also tried the Weightless Moisture Shampoo. This shampoo is just what it says: weightless. With a thin consistency and less moisture features than the Intensive Repair Shampoo, it still was able to hydrate our strands adequately and leave us with a refreshed non-drying clean. It’s the perfect everyday shampoo for all hair types. Still feeling dehydrated? Marula Pure Beauty Oil has your ideal solution, the Deep Moisture Hair Mask. Our hair can become dry for a multitude of reasons: weather conditions, styling, coloring, and more. Using a moisture mask on your hair once or twice weekly can help alleviate the straw-effect your strands take on, feeling brittle and lifeless. The Marula Deep Moisture Mask is great because it gives you the intense moisture your hair is craving without having to use a thick, messy formula that leaves residue behind on the scalp. To use, work through strands from root to ends and leave on for at least 5 minutes or longer for deeper moisture. No excess cream and heaviness means it rinses out without shampoo and won’t weight hair down, not to mention it smells amazing wafting around your senses, waiting for it to sink in. Finally, we tested the Daily Moisture Mist. 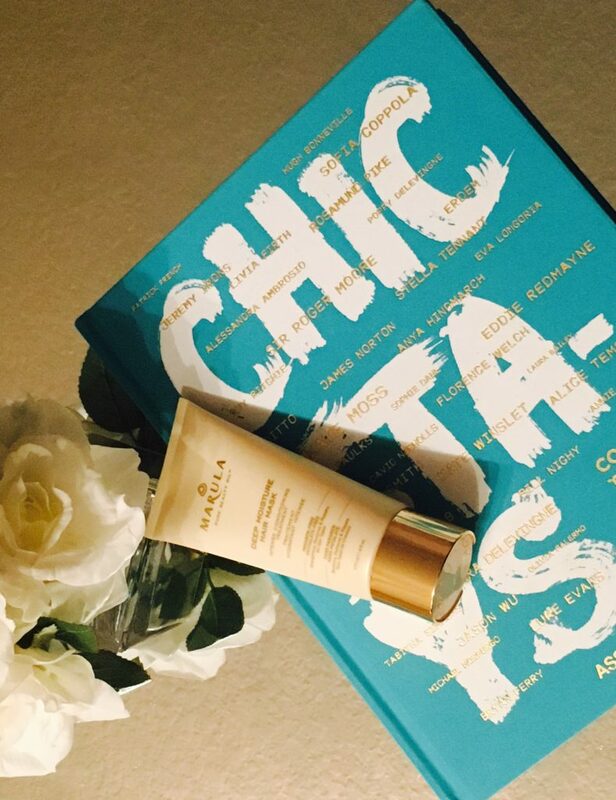 This Marula mist is the perfect leave-in conditioner for any hair type. 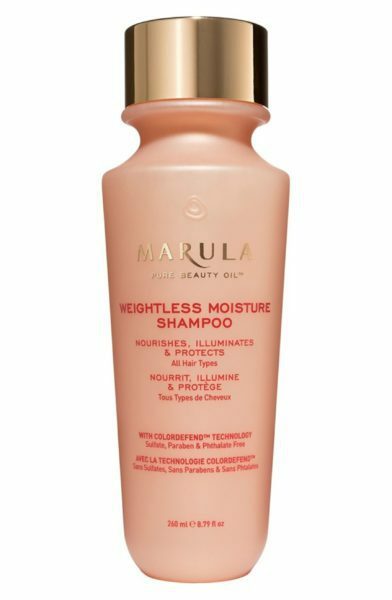 It’s weightless, hydrating and like all the Marula products, it keeps your hair smelling fabulous all day. This mist is great to use on frizzy, curly hair as an anti-frizz agent or simply as a heat protectant on just-showered strands before styling. 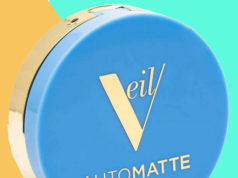 It absorbs quickly and gives even the thickest of hair that elusive soft and silky feel. MyTopFace (MTF) Beauty Hacks: As the experts we have some hacks for the Marula Pure Beauty Oil Products we tested. If you need an even more intense moisturizer for your hair, try adding a dab of the Deep Moisture Hair Mask to your conditioner, leave on for 2-3 minutes and you’ll have an extra silky set of strands before you even get out of the shower. The way you use Marula hair products to hold up the quality of your hair, you also need just the right belt to hold up your pants. Sometimes belts can be bothersome, fit awkwardly and it can be tough to find just right color for you. Belts can be uncomfortable and expensive, as well. For the overly frustrated belt-wearing gang, you can now just wear Buckle Pro. Buckle Pro is simply a buckle that holds up your pants without wrapping around your entire waist. It comes in assorted colors and is the perfect accessory to your favorite jeans, without compromising your comfort. You simply slip it onto your belt loops, size appropriately and you’re good to go. Learn just how to wear the Buckle Pro, below. Great skin, hair and accessories make for a fabulous outfit and you’ll want to show it off, maybe even on your next date night. That’s why Marula beauty products and Buckle Pro are a great gift this Valentine’s Day. Show your significant other you how much you love them with doctor approved beauty remedies and a belt that will hold up their pants without stealing the show. Valentine’s Day is just around the corner and the perfect gift is just a click away.